Makes 1 large or 2 medium smoothies. This smoothie is a little more complex than others I have made. This was the first one in which I used a little salt. However, the flavors of the blueberries and almond butter work very well together. 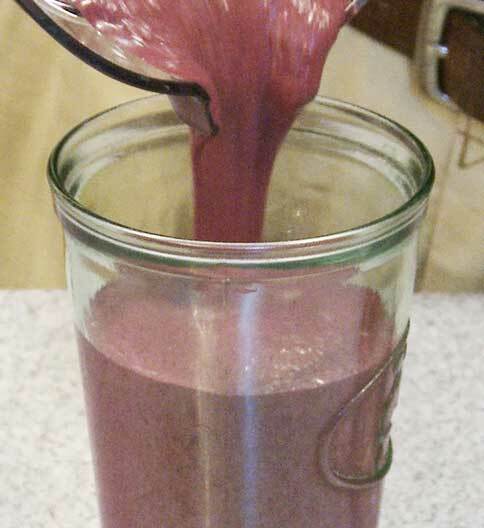 This is a delicious and satisfying smoothie. If using a conventional blender that might be damaged by ice, allow the frozen pieces to thaw before blending. Those needing numbers for calories, carbohydrates, fiber, etc. can find that information on product Nutritional Facts labels and on the CalorieKing.com web site.